Many months and a seemingly endless number of betas later, iOS 5 is finally going to drop to consumers on the 12th of this month, it brings all those features we’ve been promised – and then some. 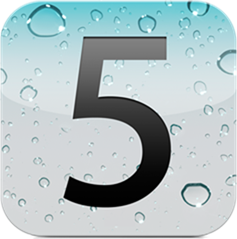 A variety of Apple’s head honchos have today showcasing new features and products, and the first in the fray was iOS 5. The Cupertino’s latest and greatest operating system will be replacing iOS 4 as soon as next week, which is an exciting prospect for essentially every iPhone, iPad and iPod touch owner. That’s right, as of next week we’ll be rid of that dreadful notification system – or rather disorganized mess. Possibly the biggest gripe amongst iDevice users has been the inability to be notified in a proper way. It just seemed that all apps were out of sync with each other, and various chimes, popups and badges would, often inconsistently appear leaving them impossible to track. The new Notification Center finally puts an end to that, and allows us to check the very latest goings-on in an organized fashion. Similar to MobileNotifier, the jailbreak tweak developed by the now fruit-eating Peter Hajas, it shows a very small, unobtrusive notification which can either be read and dealt with or simply swiped away to be viewed at a later time. Whether you’re about to knock out some pigs on Angry Birds or surmising the physics behind that Cut The Rope level you’ve been stuck on, no longer will you be met with that popup arrogantly deeming itself more important than your high score. The new operating system will serve as a little taster of Apple’s progress, and will be – as ever – a free update. Since the beta release in June, over 100,000 registered Apple developers have tested it out on their iDevices with mostly positive feedback. And today iOS 5 GM is available to every developer out there, you can grab your seed by heading over to this link, bear in mind that you should be a developer in order to download the latest iOS Gold Master candidate. So get that date in your diaries, guys! Next Wednesday iTunes will greet you with the new update, and you will be able to mull over iOS 5 with its proper notifications and multiple other features. With the official date now under our belts, the only question remaining is if and when it will be jailbroken. P0sixninja gave us a positive progress report at MyGreatFest, but as we have seen before, the release of an untethered jailbreak often occurs a great deal of time after the initial exploits. In any case, we love a jailbreak or two here at Redmond Pie, so stay tuned for more on that in the (hopefully not-so-distant) future.